They’ve come a long way from the scene hair and pop-punk sensibility of All We Know Is Falling. They might have abandoned the abrasive guitar-shredding and intrusive interrogatives of RIOT! for the bouncier, more vibrant sound of pop synths but, underneath, Paramore remain just as angsty as they were when lead singer Hayley Williams screamed how she would sing out when “they burn our houses down”. Neither pessimism nor optimism at this point have much bearing in Paramore’s bracket. Now, returning four years after the success of their self-titled album, as well as Williams’ and guitarist Taylor York’s Grammy win for “Ain’t It Fun,” Paramore find themselves continuing to explore the scope and reaches of pop elements in their music, specifically synth-pop that first became popular in the 1980’s. 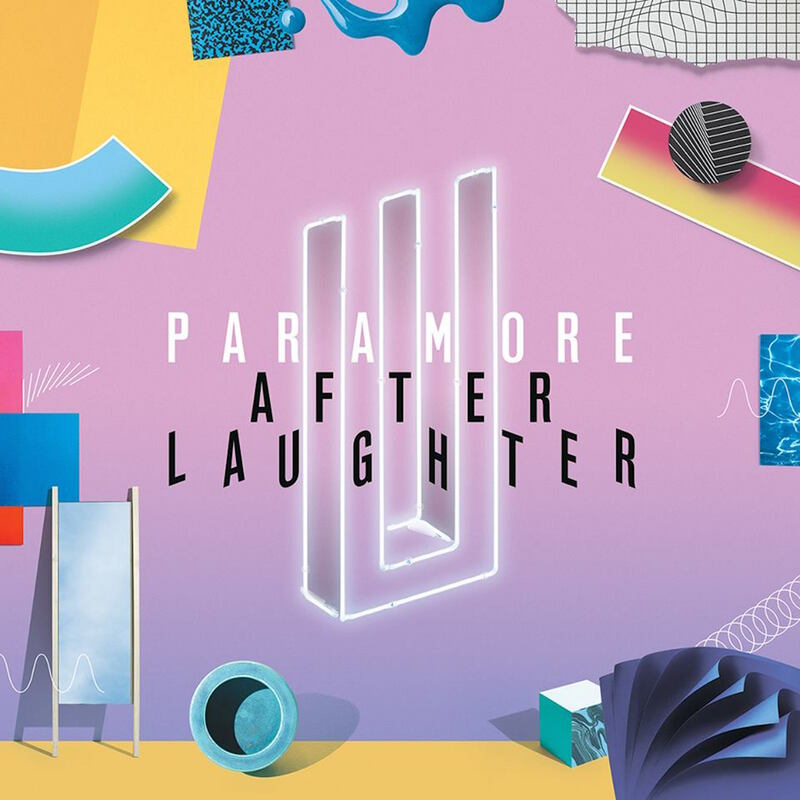 2017’s After Laughter is oxymoronic in sound: the upbeat grooviness is palpable, but the lyrics, as with many Paramore songs, are sometimes downtrodden, this time touching on subjects such as depression, anxiety, grudges, and ultimatums. Through the lead single “Hard Times”, we’re able to glean that Paramore has resolutely adopted this new sound. They haven’t so much as crossed over into the pop sphere as they’ve adopted nuances of the genre to fit their own vibe. With the mechanics of pop ever-changing, it’s hard to pinpoint exactly what pop “is”. From the early 2010’s, this decade has seen the rise of synths and electronics married to the overall pop mainstream: you might think Katy Perry’s Teenage Dream, Justin Bieber’s Believe (and Purpose), Kanye West’s Graduation and Yeezus (even Daft Punk at this point), as well as collaborations between mainstream pop stars and electronic-leaning producers like Diplo, Skrillex, Max Martin, Calvin Harris and, for better or worse, The Chainsmokers. Some of these nuances are highlighted in the song “Idle Worship.” It is easily one of the most interesting tracks on the album, joining “26” and “No Friend” in that category. It’s captivating, not least in part because of the delivery of the chorus’ last line (“I’m gonna be the one to let you down”) and the “la la la la”s before the chorus hits, sung with overemphasis and terse dryness. It captures the same brashness of Williams’ voice as heard throughout much of RIOT! (“For A Pessimist…”, “Let The Flames Begin”), and Brand New Eyes (“Careful”, “Brick By Boring Brick”, “All I Wanted”). She’s tired of being put on a pedestal, only to be ripped down by the same hands that placed her there. At this point in the game, she doesn’t have anyone to answer to, and she wants you to know that. Your deifying is hereby lost on her. “Idle Worship” works excellently as a safeguard against false ideas and notions that fans or critics might ascribe onto the band. Williams speaks for herself, York, and Farro by telling listeners none of them are “your superhuman” and they (more sarcastically) “hate to let you down” for not being that way. It is also noteworthy, as a longtime fan, to see that the band has continued to acknowledge and incorporate their Christian background into their work. If 2013’s self-titled album was them practicing and trying to see where their poppiest elements could fit within their rock sound (think “Grow Up”, “Proof”, “Still Into You”), After Laughter is a culmination of all of those best parts. From the wildly colorful, and initially surprising, aesthetic of the “Hard Times” music video (relayed on a grander scale through the album’s cover art), to Williams’ emphatic, honeyed vocals on each track, Paramore have unabashedly colored themselves a brand new shade.